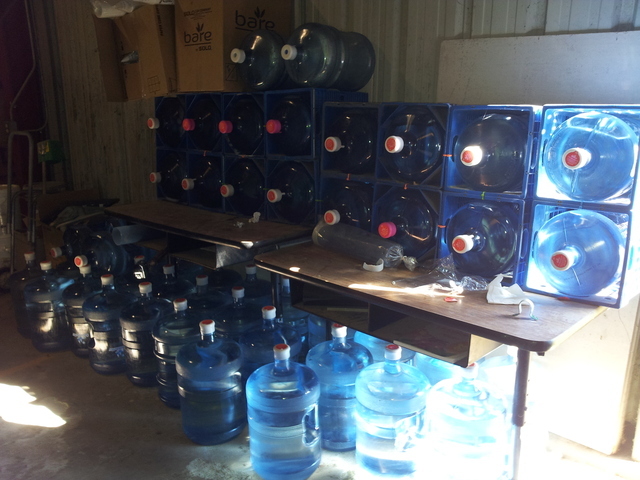 The community of Seville's goal is to have a water vending machine located at vacant Church property to have an interim source of safe drinking water while the community is working on long-term solutions to treat nitrate water quality issues. 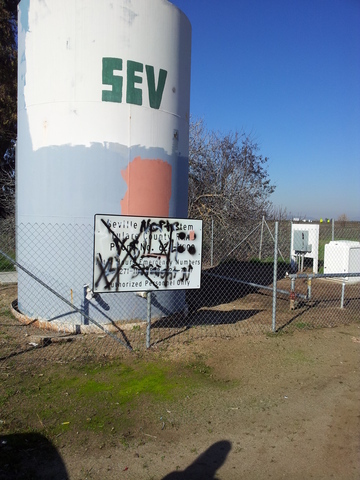 Seville is a small, low income community of about 74 households, mainly comprising of farmworkers, that is located in Tulare County. Seville’s water system has struggled with water reliability and water quality issues, due to dilapidated infrastructure and high levels of nitrates in the groundwater. The main sources of nitrates come from fertilizers and animal waste from dairies. High levels of nitrates can cause health problems like Blue Baby Syndrome, diarrhea and vomiting, birth defects, pregnancy complications, and cancer. Seville also faces other water challenges, such as water shortages, sand in water, low pressure, and the need for boil notices during low pressure times. Unsafe drinking water with high nitrates is expensive and inconvenient for everybody. The school and community both have to spend extra money to buy bottled or vended water, on top of paying for water bills. While Seville is currently working on a long-term solution to address these water challenges, the solution is several years away, so there is a need for an interim source of safe water. 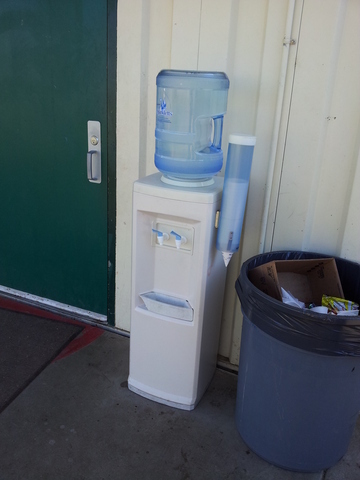 As the most cost-effective option, a community water vending machine housed on the San Isidro Church property (located at school parking lot between Ave 381 and Rd 154) benefits both the school and the community. The water will be free of charge. The community has expressed interest in housing it on the Church lot given its central location. 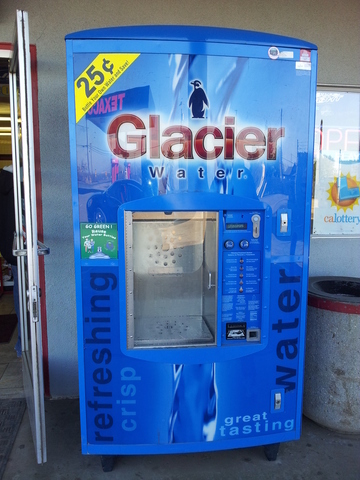 The vending machine will be operated and maintained by a certified water operator, following a plan approved by CDPH. Seville will have safe, accessible, and reliable source of drinking water for three years, while working on the long-term solution. The community and school can save significant amount of money, up to $45,000 and $18,000 respectively. 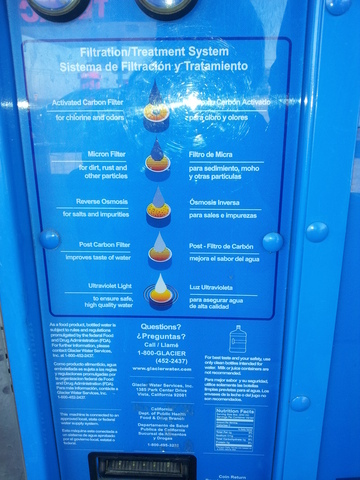 Seville will be the first in California to model a successful vending machine solution to other communities with drinking water challenges. •	Community Water Center (CWC) – non-profit organization that provides assistance with outreach, education, materials, etc. Cwc presented to stone corral school board to request to house the vending machine at school parking lot. School board was in favor of the vending machine project, but voted against housing it on the school ground. Project team meeting including CWC, self help, superintendent, and community met about status of project. Due to recent change of leadership of school board, new board will need to approve housing of vending machine on school parking lot. Cwc met with the committee for a better Seville to discuss budget and lease agreement drafts and concerns. 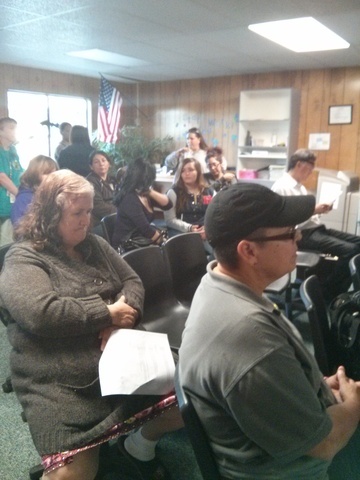 Cwc met with self help to discuss budget questions and concerns. Self help, provost and Pritchard, and CWC convened public outreach meeting about long term and short term solutions for Seville. 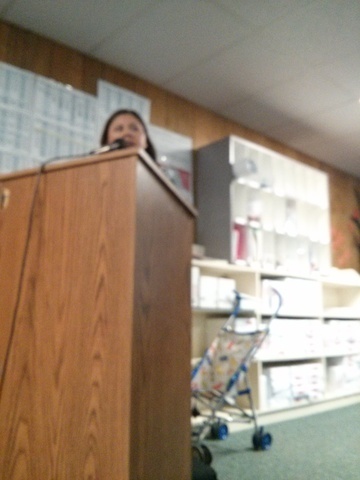 People in audience were split on going with vending machine or bottled water. Community needs to vote as a whole. Cont call with cdph , self help, CWC to discuss vending machine projects. Seville has been chosen as the pilot community for nitrate disadvantaged communities. Cdph has given preliminary approval. Conf call with sue from she about status of lease agreement and costs arrangement for Seville to address o&m eligibility in emergency funding. Cwc and self help discussed the vending machine's o&m costs can't be funded by prop 84 and discussed short term solution alternatives and outreach and meeting with county and community. Met with Caro to finalize evaluation plan for Seville. The county submitted the emergency funding application to Cdph about seville 's request to having a vending machine. The vending machine is designed to be a temporary solution for three years, so the project team has designed for all costs to be covered throughout this period, including machine equipment, site prep, installation, operations and maintenance, and ongoing water testing. The machine will be maintained by a certified water operator with specific schedule of activities to do to ensure that the machine is clean and functional. After the three years, the community can decide whether they want to continue using the machine or not. Ultimately, all partners want this project to be an interim solution, so also important that the community of Seville keep advocating to achieve a sustainable, long-term drinking water solution. It is a priority of the project to be sustainable and affordable to the community of Seville, so the costs of operations and maintenance (O&M), including replacement parts, servicing provided by the water operator, and regular water quality testing for three years, which total about $6000, are planned to be covered in the grant. State funding can pose unexpected bureaucratic delays and funding obstacles that can affect the direction of the project. This community vending machine was originally meant to be housed at the school parking lot, with the support of all project team partners. The school was going to partner with Rotary in order to fundraise for the costs of the project, but with the newly made funding made by CDPH, the project team decided to apply. This particular funding program of CDPH was designated for severely disadvantages with drinking water problems such as Seville to obtain an immediate source of interim safe drinking water – to be flexible in covering any costs, including O&M. However, once the application was submitted, the project was ruled ineligible because CDPH said that the funding program could not cover O&M costs due to the fact the funding was coming from Proposition 84 and therefore had prevailing wage restrictions. CWC sought clarification from CDPH in March, pointing out that the funding program came from two sources: Proposition 84 from CDPH and the Clean-up and Abatement Fund from the State Water Resources Control Board, which has no such restrictions. After several calls with CWC throughout the summer, CDPH determined that O&M could be covered through the Clean-up and Abatement portion of the emergency funding if the contaminants were anthropogenic (like nitrates), otherwise, communities would have to pursue leasing options to have O&M covered for the Prop.84 funding portion. Unfortunately, by the time that this issue was clarified, in October the school board leadership had changed and did not have the political will to support of housing of the vending machine on the school property. If there had not been this funding barrier, Seville would have had a safe source of interim water by now, but instead, the project has had to restart all over again to identify a different viable location – the Church property. 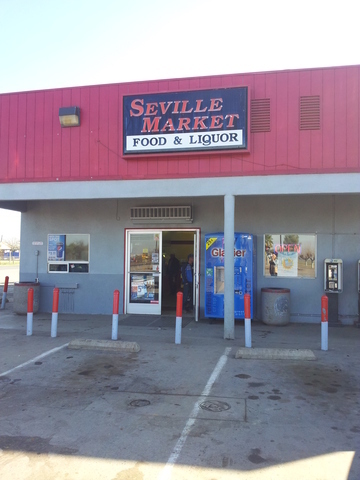 Seville is a small, disadvantaged community that comprises of about 74 households, predominantly low-income Latino farmworkers. 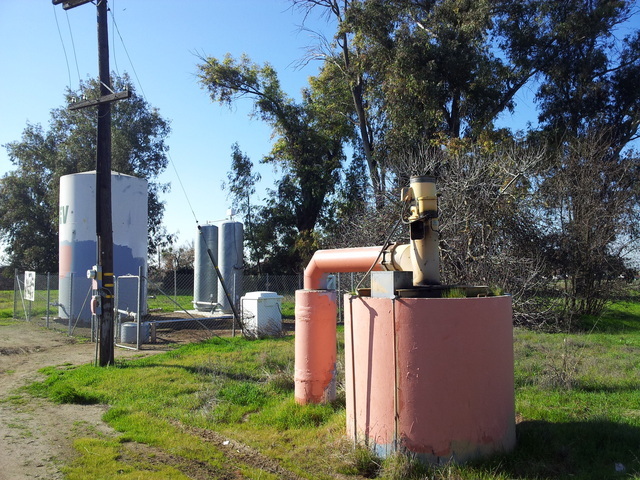 Seville is on a public water system that has high nitrate contamination, and the public water system is currently in receivership by the County of Tulare.